From a letter dated 1898. My heart’s desire and prayer is that the time be not far distant when all mankind will have one God, be of one mind, and the brotherhood of man be established throughout the earth. 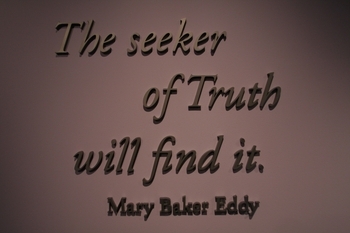 Copyright, 1936, Trustees under the Will of Mary Baker G. Eddy. Used by permission.